Married, 2 daughters. 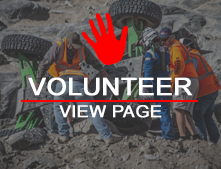 Experience: Rally on the Rocks Moab, Utah (2015-2017). Line Mountain - 2017 UTV 2nd place points championship. Oklahoma Gold Rush - 2017 UTV 3rd place Endurance race. King of the Hammers - 2018 UTV preran and pitted for Sean Haluch Racing (1905).